The natural-food distributor is paying $2.9 billion for grocery wholesaler Supervalu – a clear attempt to bulk up in response to Amazon’s foray into food retail. UNFI is getting a good deal thanks to generous cost cuts, but the amount of debt it is taking on makes this risky. 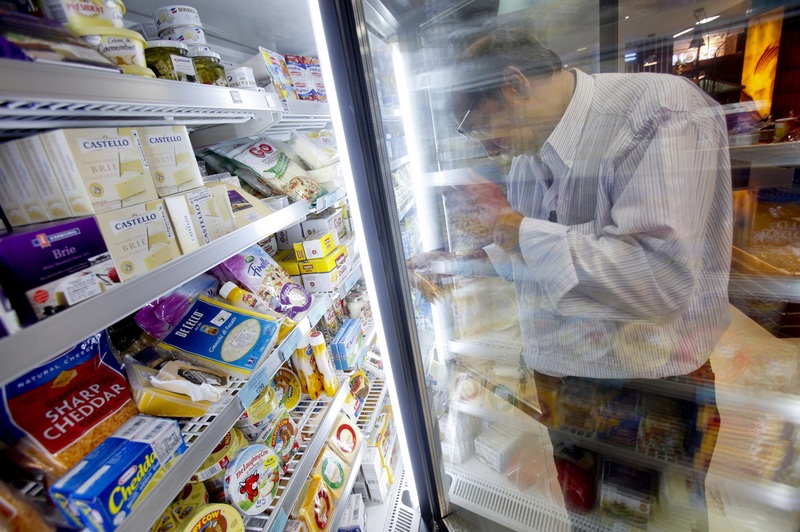 A customer examines a packet of cheese in the processed dairy food section of a supermarket in Mumbai May 30, 2011. United Natural Foods on July 26 agreed to acquire Supervalu for $32.50 per share in cash, in a deal valued at $2.9 billion including debt. The price represents a 67 percent premium to the closing stock price on July 25. The deal is expected to close by the end of the year. UNFI distributes natural and organic products to retailers in the United States and Canada. Its business with Whole Foods Market, the retailer owned by Amazon, accounted for 33 percent of revenue in fiscal 2017. Supervalu is a U.S. grocery wholesaler and retailer with 3,437 stores as of February. Activist investor Blackwell Capital has been encouraging the company to sell itself and reduce its retail grocery stores. In the past year, the company sold eight of its distribution centers and reduced its retail locations by nearly half. UNFI stock was down 15.4 percent to $34.84, while shares of Supervalu were up 64.6 percent to $32.02 at 1:49 p.m. EDT.